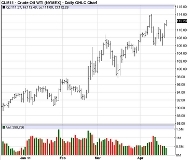 A commodities trading report published in-house to address some of the futures trader's worst enemies. 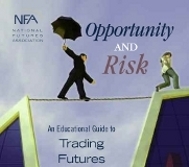 It focuses specifically on the drawbacks of entering multiple contracts, and how to deal with various futures trading scenarios that may arise. The philosophy behind one strategy to eliminate fear and greed in futures trading is supported by multiple commodities trading charts with buy and sell signals, and commentary that leads the reader through the process of rational futures trading. 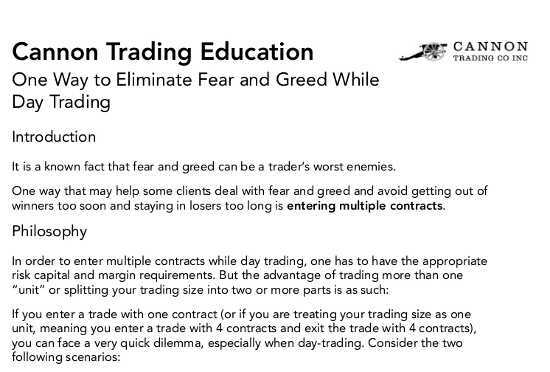 This link will download a PDF of the commodities trading report: One way to eliminate fear and greed while futures day trading.